Recorded March 13, 2013, this interview was under wraps until sparks of these upcoming projects hit the masses. 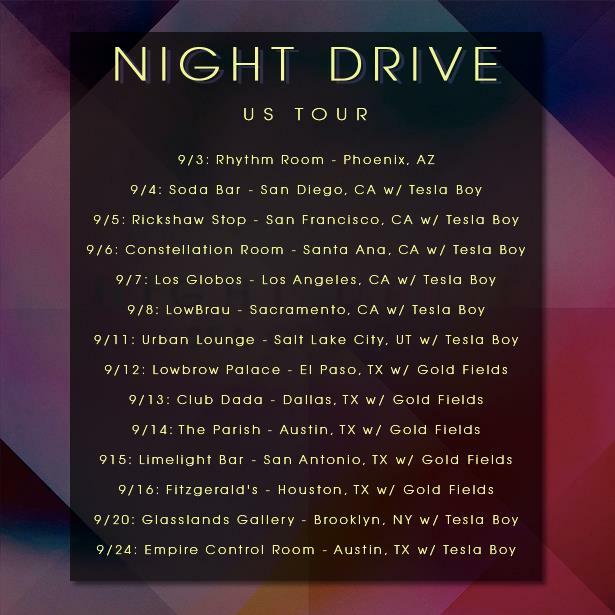 Now with an upcoming tour ready to roll out, along with the new release of Night Drive's work with Treasure Fingers, the time has come to unleash this beast. Vocalist and multi-talented instrumentalist, Brandon Duhon of Night Drive discusses new projects with the band, their experience with drones, the story behind creating an album with the famous Treasure Fingers, and meeting Bit Funk.